Although it may seem like a simple device, portable air conditioners have numerous factors and characteristics that differentiate themselves from others. You have plenty of options when it comes to purchasing a unit for your own needs, but there are certain factors that matter the most. Knowing what they are beforehand will help you find the portable air conditioner that is perfect for your space’s size, and your own personal preferences. 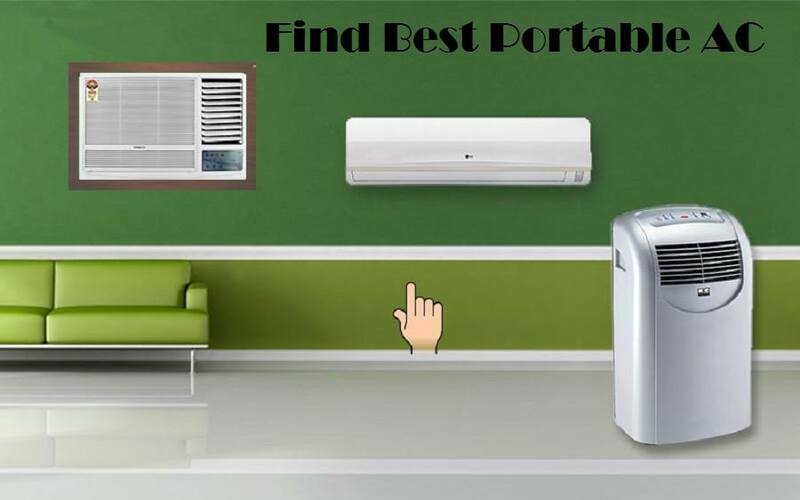 You can certainly classify portable air conditioners in many different ways, but these are the factors that should be most important to you when shopping. Your main criteria for portable air conditioners begins here. BTU, or British Thermal Unit, is a way of measuring a portable air conditioner’s output, which in turn decides the size of room it is appropriate for. 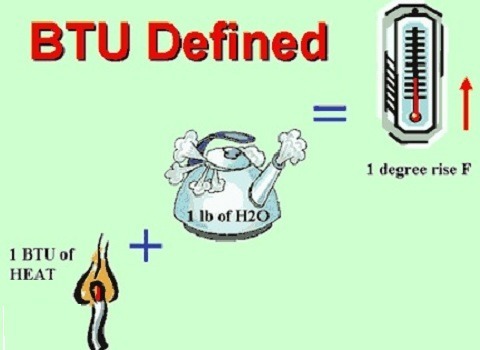 Without getting too deep into it, BTU represents the amount of energy needed to raise the temperature of 1 pound of water 1°F. This works in reverse when it comes to a portable air conditioner. In this case, it refers to how many BTU’s per hour the unit can remove from the air around it inside a space. Unit’s with a higher BTU amount are intended for use in larger rooms. Lower amounts are for smaller rooms. Use a high BTU unit in a small room, and you’ll end up with an overworked unit that isn’t able to remove as much moisture, leaving you with a clammy, humid space. Use a unit with lower BTU’s in a large space, and you’ll get a room that’s not nearly cool enough, along with an overworked unit that never shuts off. There is a way to calculate your BTU needs, however. An air conditioner needs approximately 20 BTU for each square foot of the space you are going to be using it in most often. Measuring the square footage can be done by multiplying the length of the room by the width. 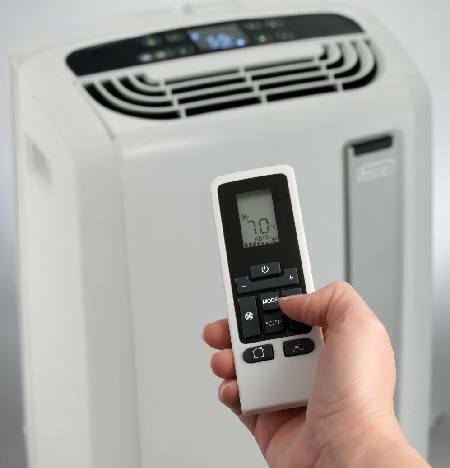 Portable air conditioner units need to vent ou﻿﻿t the hot air as a part of the actual air cooling process. The hot air needs to be directed to the outside of the room, or else you are cooling and heating the air in the room at the same time, and that’s not exactly productive. The ventilation is done through a hose, which can be sent outside of a window, through a wall, or outside of a sliding door if possible. 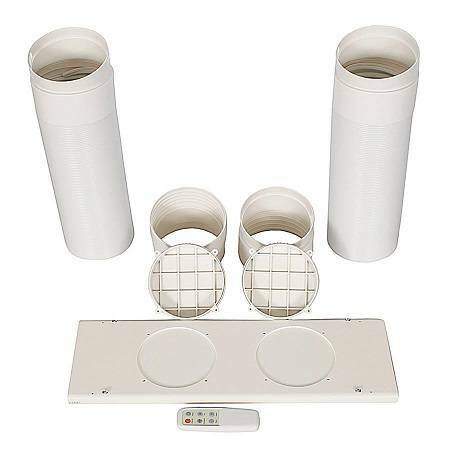 Portable air conditioners come with kits that allow you to close off the gap in windows and doors if you are ventilating outside. As far as hoses go, you have two options: single-hose, and double-hose. 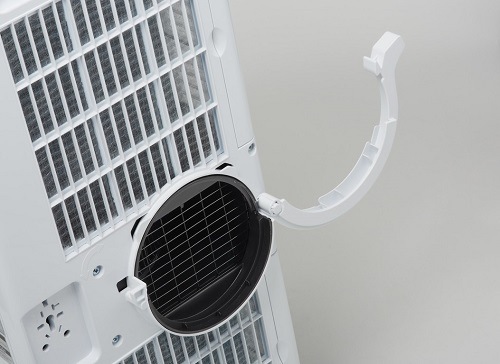 A single-hose portable air conditioner draws air from inside the room, cools it, and then returns the majority of the air back into the room. Some of this air is used to cool the unit, and the rest is blown through the air conditioner's one exhaust hose. Dual-hose systems pull in the room air, cool it down, and then release it back into the area. The unit gets hot during the process, so one of the intake hose pulls in air from outside to cool down the unit. The air is then let out through the second hose. A double-hose unit is more energy efficient, and avoids creating negative air pressure in a space. They can sometimes be more expensive as well. You may not realize it initially, but the noise level of a portable air conditioner is definitely worth considering. You may not mind having a unit that is slightly more noisy inside your own room or office. On the other hand, having one in another part of your home where you may be doing things such as watching television or entertaining guests could be a big hindrance if it’s loud. Most portable air conditioners have a decibel rating that gives you the decibel level when the unit is on its max setting. Be mindful of where you will be using the unit, and if a little noise is going to cause issues. Portable air conditioners remove water from the air when cooling. The unavoidable result is condensation and water buildup inside of the unit, which needs to be addressed. Self-evaporative units exhaust all of the condensate that is built up, resulting in you being able to run the unit without worrying about it overflowing. Partially self-evaporative units can evaporate most of the moisture into their own hot air exhaust, resulting in little to no water to empty on your own. Most units at least have a drain hose that you can extend towards a floor drain. If you want to direct the water up and away, you’ll need to acquire what’s known as a condensate pump. These are handy if you lack a floor drain or have a drainage area above the unit’s level. The simplest and most affordable portable air conditioner models generally have an internal container that collects the extra water. These need to be emptied on a regular basis during use. Many portable air conditioners come with some helpful added features that make them both easier to use and more convenient as well. One of the more common features most units have is the ability to adjust fan speed and temperature level. Remote controls are a common feature as well. If the unit is going to be put in a strategic electrical outlet spot, consider a model that has a built-in power strip so you can keep nearby other appliances and lighting fed with power. Other units provide more climate control versatility, allowing themselves to operate as dehumidifiers (drying the air but not cooling it), and/or operate as a heater. Some have the capabilities of all three. This can help you avoid buying three separate appliances.